The former Vice President of the United Republic of Tanzania H.E. M.A. Shein meets the Executive Director of KADETFU Mr. Y. Muchuruza. This old lady benefited from the Female Headed House Holds Microcredit sanitation project sponsored by UNHABITAT. Farmers are encouraged to do horticultural projects for income generation. Fish Landing Site facility built by KADETFU at Kyamkwikwi beach, in Muleba District for value addition. KADETFU promotes Natural Regeneration for ecosystem management. 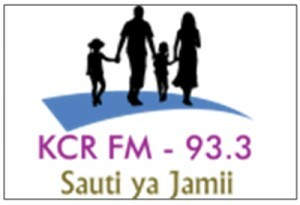 We are delighted to bring to your notice that KADETFU has finally achieved its long cherished ambition and established a community radio station, the first of its kind in Kagera Region. It is now ready on air waiting for the official launching after fulfilling all needed requirements by the Regulatory Authority. As we said in our last publications, Radio is a very useful tool with great impact to the society. Radio disseminates information to all people, literate and illiterate alike, urban and rural population, surrounding and remote areas where it is difficult to be reached due to infrastructure limitations; many people get information at the same time and such service can easily be afforded by most families i.e. most of the families can afford to buy a small radio set. Banana is major staple food crop in Kagera region and in other countries of East African Great Lakes region. It is an important cash and food crop for more than 2 million people of Kagera Region. Banana dominates the diet of the Bahaya people of Kagera Region. Bananas are also important source of income for farmers and they provide ecological functions such as protection of the soil against erosion and leaching. Despite the significance of banana for the food security, incomes and livelihoods of the communities in Kagera region (Tanzania), the crop is significantly threatened by banana Xanthomonas wilt (BXW) (Xanthomonas campenstris pv.musacerum).